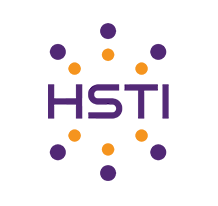 Mark your calendars for HSTI 2019 June 10-13! It is my pleasure to welcome you to the Hot Springs Technology Institute website for the 26th anniversary of HSTI. HSTI 2019 will represent another great year for educators. Strengthening collaboration and support for Arkansas educators and partners in educational technology development and infusion is happening because of educators like you. We will continue to do our best to offer the best hands-on workshops and breakout sessions in the region. Educators from all over the state offer advice and suggestions for improvement. We take your comments very seriously and try to incorporate them into planning for future HSTI events. HSTI is a one of a kind conference and is the only conference "built by educators for educators." The success of HSTI is due to the fact that it is built by educators and partners that care about what is best for children. Our staff will be adding information to this website as it becomes available so be sure to check back often and be sure to mark your calendar for the conference dates. We plan to have many great pre-conference workshops as well as our huge selection of breakout sessions and featured speakers throughout the four days. One of our primary goals is to ensure that you will not leave HSTI empty-handed. We want everyone to learn something new to help them continue the journey of being life-long learners. Several organizations play a big role in helping create a fresh new HSTI event each year so be sure to show your appreciation. These organizations include ARKSTE, AAIM, AETN, ADE, ARCF, HSU, Dawson Educational Coop, numerous exhibiting partners and most importantly...Hot Springs School District. I would personally like to thank the many people who serve as volunteers, presenters, trainers, and exhibitors. Without these hard working dedicated people, HSTI would not be able to continue as the best-kept secret in the country.